For my first small box, I'm not unhappy. There is plenty of room for improvement. The missus is happy and that's all I needed to hear. 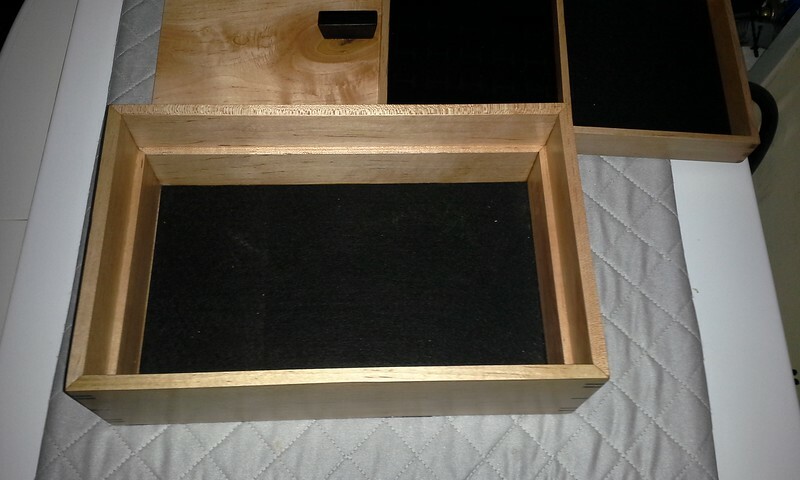 Red maple, Gaboon ebony and my version of Maloofs oil finish. 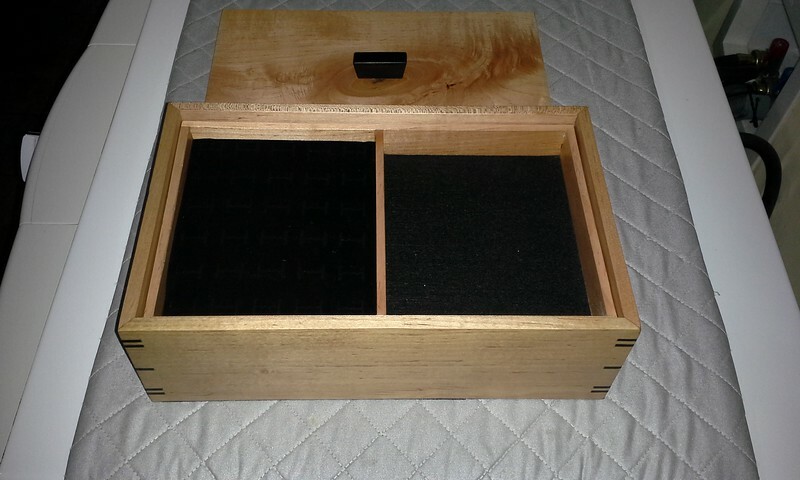 I used black felt peel/stick to line the box and a foam ring holder in the tray. Nice job! Particularly if it's your first. You made really good use of the figure with the lid, and the fits look very precise. I'm sure you have a new family heirloom there. Looks real nice and clean. Agree with TMS about the top grain. What are the overall dimensions? The proportions look nice. The splines in the corners are a great contrast. Especially given the spacing/layout. Gives a nice custom look to the piece. Good work! Wonderful box esp. for the "first". 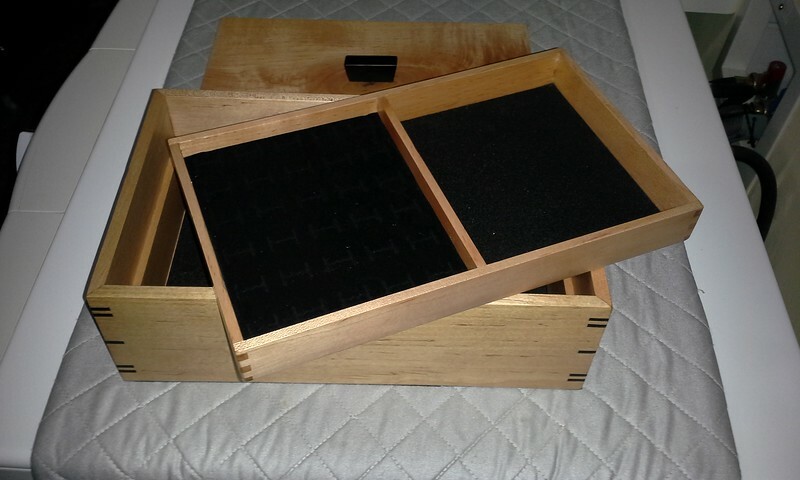 Pretty darn good for your first jewelry box. Nice layout of the corner keys and grain orientation. Looks good, Ken. Was that a peace offering for giving away your wife's favorite chair? You definitely , thought it out. Great Job. Nice joinery details! 12" wide, 8" deep and 4" tall -- very close to the golden ratio. 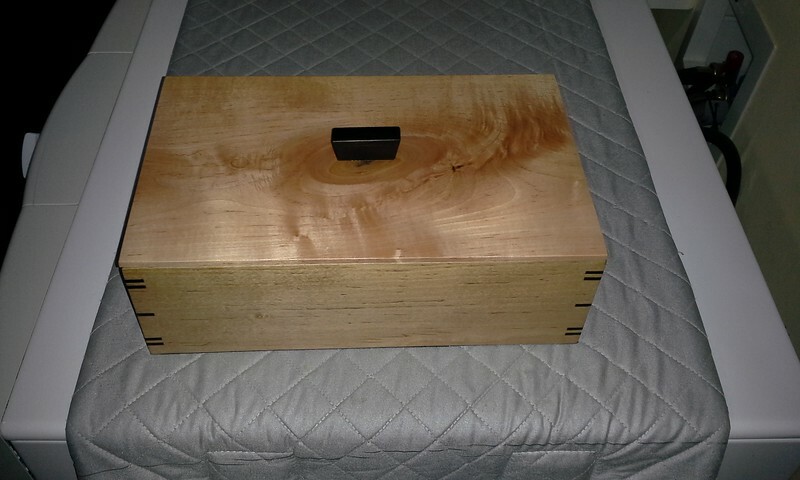 she has taken a shining to my maple bench that I made for my brother. I told him to come get it PDQ before she claimed ownership. 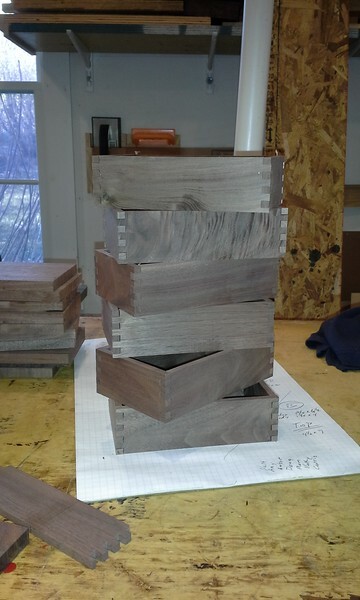 have started on some very small walnut boxes. These are 2" tall, 4" deep and 6 1/2" wide. I'm trying to reduce my stash before we move (in 2-years). Small boxes don't take much wood. My stash of shorts isn't going down very fast.